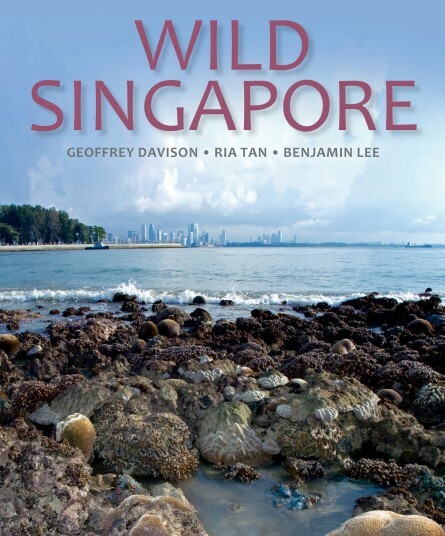 Published in association with the National Parks Board of Singapore, this important book combines vivid photographs of marine and terrestrial sites and species with a highly informative and readable text. The book starts with a look at Singapore’s wild past: its biogeography from before human occupation up to 19th century changes and finishes with a look at the possible future of wildlife in the country. In between, there are full details on the current flora and fauna to be found in and on Singapore’s reefs and rocks, mangroves and mud, lowland and swamp forests, and parks and gardens. A unique feature in each chapter is the ‘Guided Tour’ which takes readers to specific habitats to explore the trees, birds, plants and animals to be found there. Written by three expert authors, Wild Singapore provides an authoritative and entertaining survey of the wide spectrum of wildlife on the land and in the seas of Singapore. Dr Geoffrey Davison has spent all his working life in South-East Asia, as a university lecturer in Malaysia, a conservationist with WWF, and now with the National Parks Board, Singapore. His interests range across ornithology, tropical forest ecology and animal taxonomy. He has written numerous scientific papers as well as books, including the bestselling Naturalist’s Guide to the Birds of Malaysia. Ria Tan is passionate about Singapore’s marine life as a writer, photographer and observer. She regularly monitors about 40 seashore locations and, working closely with the National Parks Board, she helps manage teams of volunteers. She has co-authored the Chek Jawa Guidebook and is currently working on new marine nature guidebooks for Singapore. Benjamin Lee studied zoology at the National University of Singapore and has a keen interest in the natural history of Singapore and the South-East Asian region. He has worked at the National Parks Board since 2000 and spent eight years managing the rainforest nature reserves as a senior conservation officer. He currently oversees the Nature Parks branch. Size 260 x 215 mm / 10″ x 8″. Extent 208 pages. Words 50,000 approx. Illustrations c.270 colour photographs; 2 maps.